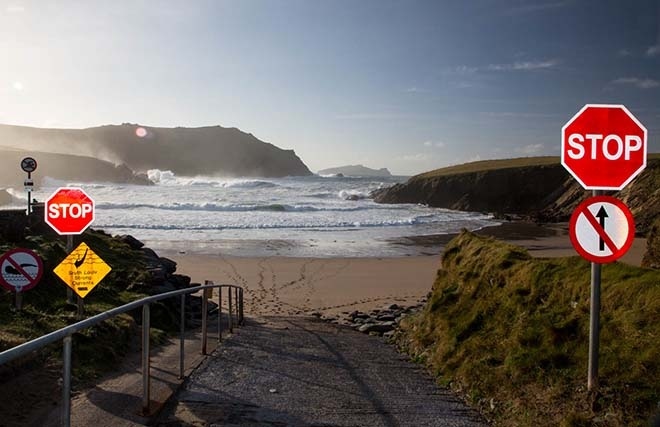 To see the Dingle Peninsula properly you will need a full day leaving Killarney at around 10 am and returning around 6 pm. Leaving The Lake Hotel, take a left turn at the main road and head for Killarney town, take the Killorglin road (N70). Turn right at the Golden Nugget Bar (N72) to Miltown. Castlemaine next (wild colonial boy, Jack Duggan came from here) head for Inch Beach (do not drive your car on any beach in Kerry!) where some of Ryan’s Daughter was filmed. Passing the Annascaul Rivermouth you may want to turn right for Annascaul and Tom Crean’s South Pole Inn Pub. It was here Tom Crean, the famous South Pole Explorer, returned after his magnificent expedition with Lord Shackelton and Scott to the South Pole. After this, you can continue on to the town of Dingle. 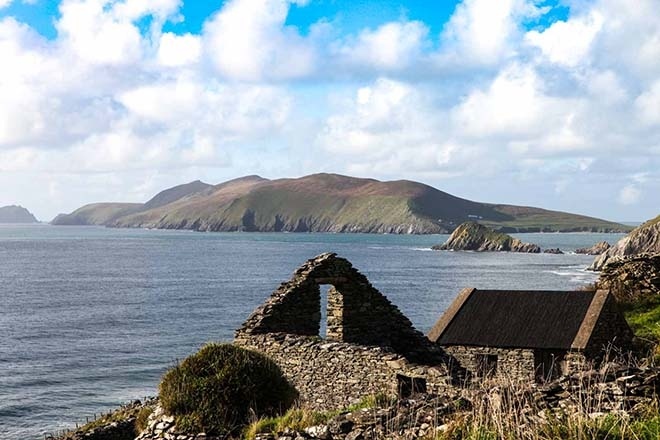 Here you can take a boat trip to see Fungi the wild dolphin who has been a resident in Dingle Harbor for 20 years, alternately you can visit Ocean World with its Underwater Tunnel with Sharks, Turtles and a huge array of fish. Leaving Dingle head for Ventry, home of the legendary Kerry Footballer Paudie O’Shea. You will pass his pub here with its pictures of many famous visitors on the walls. Prepare your Cameras for the next bit of the journey, as this next stage in the journey offers the best coastal scenery this country has to offer. Spend as much time as you can in this area. Dunbeg Fort, Beehive Huts can be visited along the way, check out Coumeenole Beach just after the Crucifix at Slea Head, it is the most westerly beach in Europe, New York 3000 miles (do not swim here because of strong currents!) 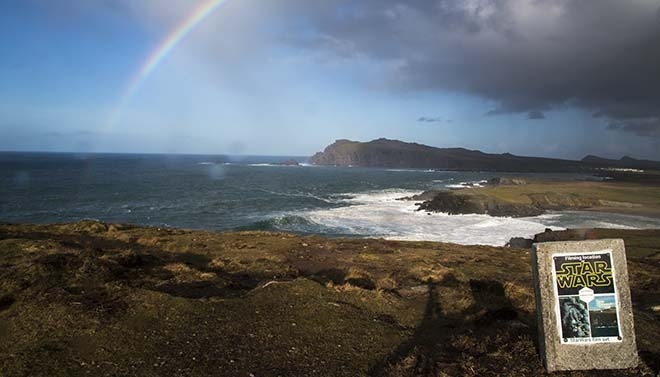 As you look west you can see Great Blasket Island the home of Peig Sayers and to the North West Inishtooskert ( the sleeping giant ! ). Head for The Lake Hotel via Conor Pass, stop at the car park at the top and stretch your legs, looking South you can see Skelligs in the Distance and Dingle Bay, and to the North, Brandon Bay and the Hog Islands also known as one of Ireland’s top Surfing and Wind Surfing destinations known as the ” Hawaii of Europe”. Descending to near sea level on the left is a short road to Kilcummin Beach here lies a huge anchor as a monument for those who died in 1894 on the Port Yarook, a Californian registered ship which took refuge from the strong southerly winds but unaware of the huge Northern Swells ( surfing waves ) which arrive here on a consistent basis, all met their death that day, and today in low tide the keel can be seen even to this day from a timber constructed Boat.